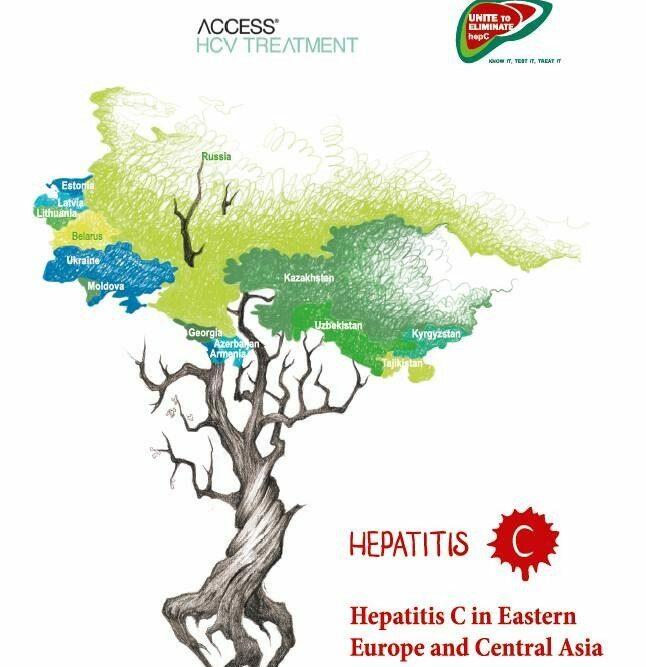 The International Treatment Preparedness Coalition in Eastern Europe and Central Asia (ITPCru), the International HIV/AIDS Alliance in Ukraine, and the Alliance Center of HIV, Hepatitis C and Drug Use, present the second updated edition of the Report “Hepatitis C in Eastern Europe and Central Asia: Civil Society Response to the Epidemic”, describing the epidemiological situation, best practices in implementing HCV programs, key problems of people living with HCV in 11 countries of the region and the challenges that state institutions and civil society organizations face. The Report was prepared with the help of experts and civil society organizations from all the countries of the region. This Report aims to support advocacy efforts and open dialogue with governmental agencies and pharmaceutical companies, and to raise the awareness amongst civil society on the epidemiological situation in particular countries, and in the region in general. The report will be regularly updated and published every 3-6 months based on developments.